Shay Rishoni, one of our co-founders, has passed away. Shay played an integral part in the forming of our company and was instrumental in developing a solution from patients for patients. His seven-year battle with ALS gave him first-hand knowledge of the disease and his input and legacy will remain a valuable asset to our company as we move forward. Shay excelled in every arena. He served as a Military Colonel in reserves, he was a pilot, a businessman and an IronMan. Throughout his struggle with ALS Shay continued to act as Chairman of Prize4Life, the Israeli ALS non-profit organization. Prize4Life holds the mission of finding innovative and groundbreaking treatments and cures for ALS. EyeFree committed to donating 10% of future profits to Prize4Life and Shay served as their representative in our partnership. Shay’s legacy will continue to be a driving force in our company as we strive to create an innovative communication solution for the locked-in community. 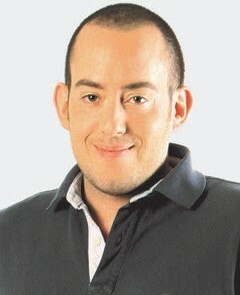 We are very saddened by his loss but we will continue with his words of optimism - "LIFE IS GOOD." 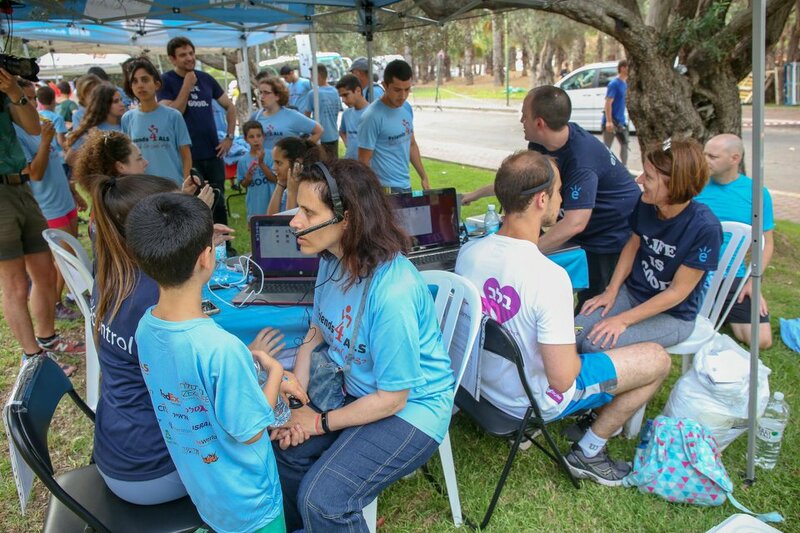 On June 7, 2018, the EyeControl team participated in a marathon in Ramat Hasharon to raise funds for and awareness of ALS and related NGOs. We set up a stand where we met the community and tested our device. We sat with over 100 participants to train our algorithm and explain the features of the EyeControl! We were successful in raising 5,000 shekels from our friends and family which the company matched and overall donated 10,000 shekels to this worthy cause. The race was organized by the NGO Friends4ALS as a joint effort between IsrA.L.S. and Prize4Life. 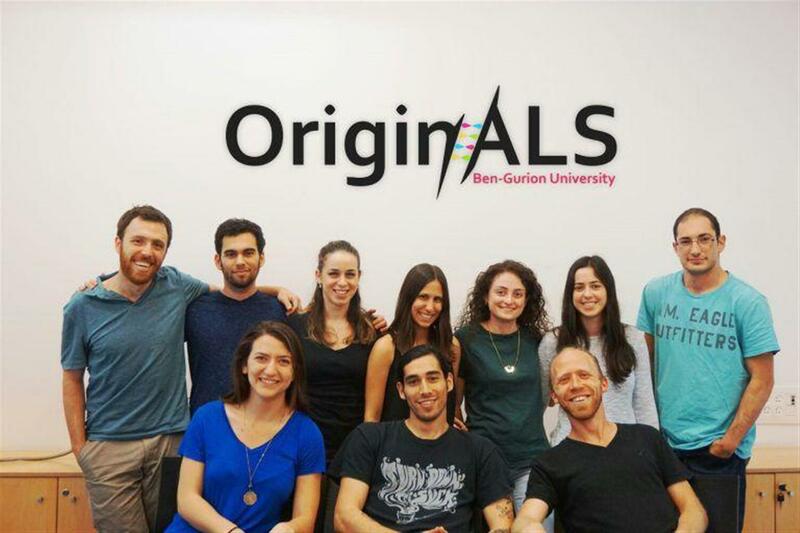 Altogether, almost 500,000 shekels was raised to promote research at a national and international level in order to find a cure and support ALS patients and their families. The initiative first launched in 2012 by Shay Rishoni, (EyeFree co-founder), iron man and triathlete, and saw a turnout of 1,000 participants. Six years later, over 2,000 people turned up with their families to support the cause. The race features two tracks, a 2 kilometer walk, and a 4.2 kilometer run. Both tracks are wheelchair accessible and allow ALS patients to participate with their loved ones. We would like to thank Friends4ALS for organizing this race, involving the community and keeping Shay’s legacy alive. Liat Tzoran, student at Ben Gurion University, lost her father to ALS when she was only 18. Liat has dedicated herself to studying the disease and was recently chosen to participate in The International Genetically Engineered Machine (iGEM) Foundation's global interuniversity competition with her 8-member team, OriginALS. The aim of their project: to find a way to slow down the progression of the disease and prolong the life of people with ALS. On average, a person diagnosed with ALS has between 3 to 5 years to live. The project focuses on supporting the cells of the nervous system that are crucial for neurons to function. These cells, Microgalia and Astrocytes, are known to be the major cause of rapid disease progression. Microgalia serves as the immune system of the brain and the role of Astrocytes is to physically support nerve cells, for example, by providing them with nourishment. In ALS, the Microgalia secrete toxic molecules which cause Astrocytes to become reactive and therefore toxic to motor neurons. Specifically, the approach of OriginALS is to identify only the reactive Astrocytes by their specific genetic markers and kill them by activating the self-destruct mechanism of the cell. Additionally, the goal is to silence the gene responsible for the production of toxic molecules so that no new reactive Astrocytes are created. This method aims to reduce the level of toxicity and injury to motor neurons in hopes of reducing the rate of deterioration of ALS. The team has registered a patent for their method and is supported by the university. As undergraduate students from various faculties, they will be competing against advanced stage researchers. By October they plan to prove their theory in a cell model. We congratulate and support Liat and her OriginALS team in their revolutionary endeavor and pay our respects to her late father, the first CEO of IsrALS, Nir Tzoran, who passed away in 2011. 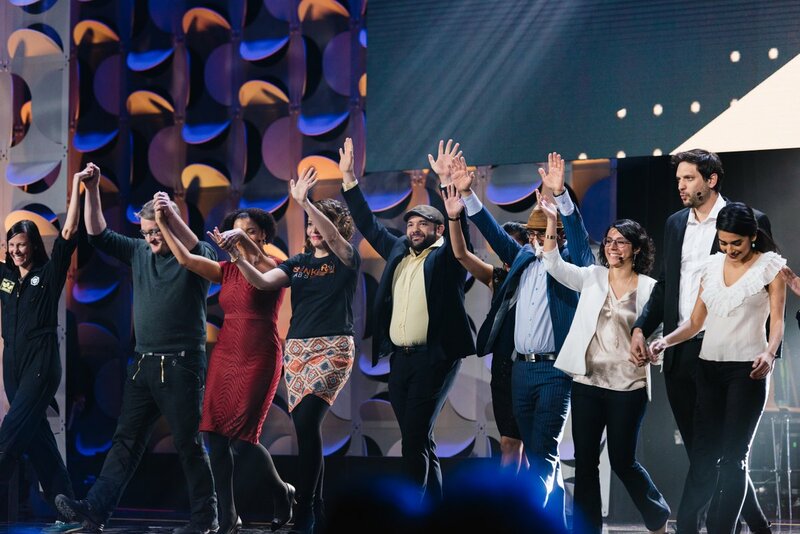 Global WeWork Creator Awards winners! This past January, the EyeControl team traveled to New York to take part in the WeWork Creator Awards finals. Out of over 6,000 competitors, EyeControl won the second highest prize! We are very excited to gain WeWork as partners through this journey and cannot wait to continue our work with them. 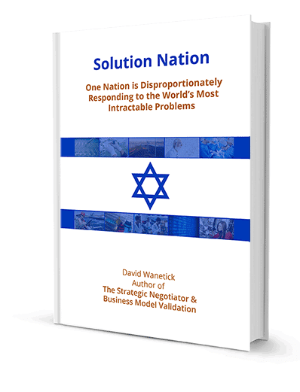 Check out David Wanetick's new book, Solution Nation, which contains profiles of 62 of Israel's most promising solutions to the world's most severe humanitarian problems. The EyeControl solution received a whole chapter in the book! The Israeli Innovation Center, a vision of Israel's 9th President Shimon Peres, is due to open its doors towards the end of 2018. 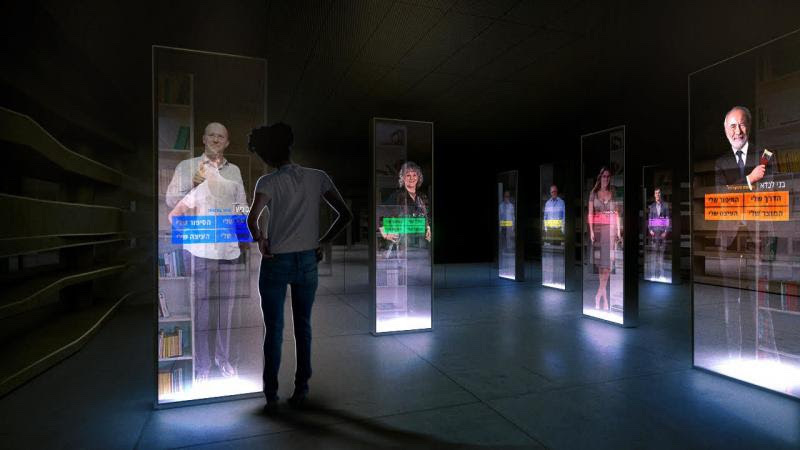 This interactive museum will showcase some of the nation's most revolutionary products with the aim of inspiring and empowering visitors to be positive agents of change (tikun olam). We have the unique opportunity to present the EyeControl and further educate the public about the importance of meaningful and simple communication for everyone. After losing his friend, Asher, to a debilitating neurological disease, Itai realised that he must work to create a better reality for locked-in individuals. Having graduated with honours from Ben Gurion University with a B.Sc. in Software Engineering, Itai worked for HP and Net Innovation Lab before co-founding EyeFree and becoming CTO in 2016. In fact, our activity started out of Itai's home office! We would like to thank the man behind the scenes who dreams big, works hard, and has made it his personal mission to turn our vision into reality. 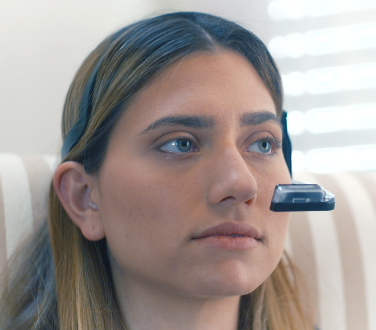 The EyeControl allows you to maintain eye contact during communication in order to hold a meaningful conversation with your loved one. It allows connecting with friends, family, clinicians and colleagues and supports a more active participation in ones treatment and healthcare plan. 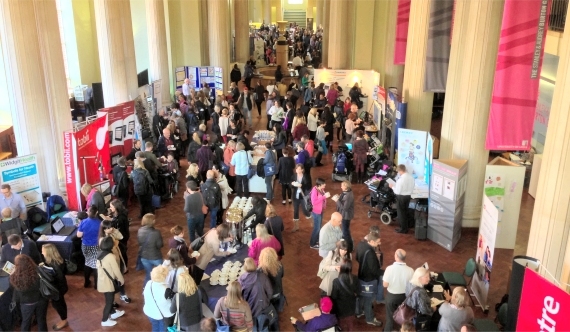 Meet us at the Communication Matters Conference from 9th - 11th of September 2018, University of Leeds. Did I just dream this? 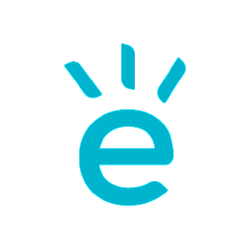 Sign up to receive EyeControl news and updates.